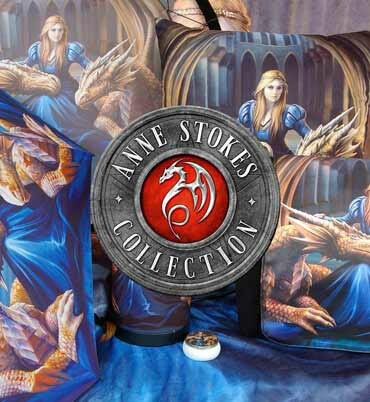 Exclusive to Nemesis Now, this beautiful Fantasy clock comes from the enchanting mind of world-renowned Fantasy artist Anne Stokes. Soaring through the skies, clouds tinged with the rosy pink of dawn’s first fingers, this angel is clad in white. Her left hand clasps a golden key tightly, while her right shields a glowing, floating orb. Her eyes are fixed on her heavenly destination as she flies. With each hour marked off in rose, this alternative wall clock is sure to enchant at all times.